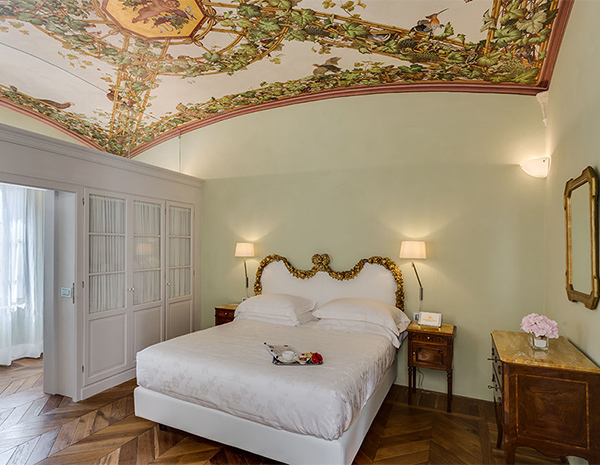 Due to its small size, the Smeraldo (Emerald) room is the most intimate room of our hotel; romantic and comfortable, the room overlooks both the large terrace of the Relais and Piazza Gramsci. 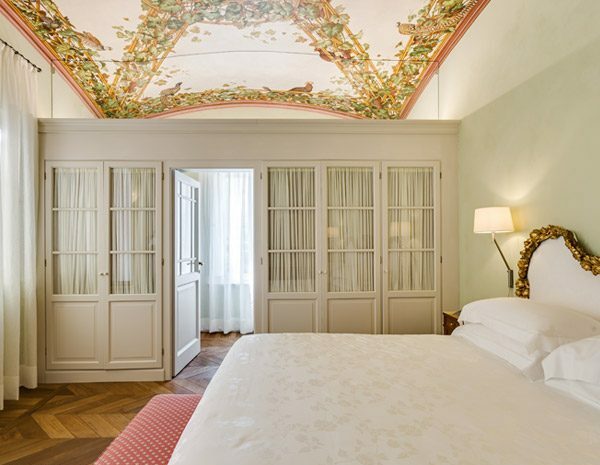 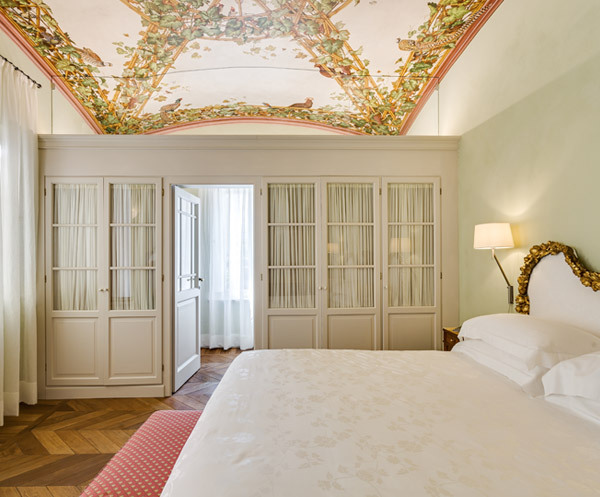 Under a vaulted ceiling depicting Bacchus surrounded by vine branches, there is a padded double bed with a golden frame and a wardrobe-wall that separates the room from the bathroom. 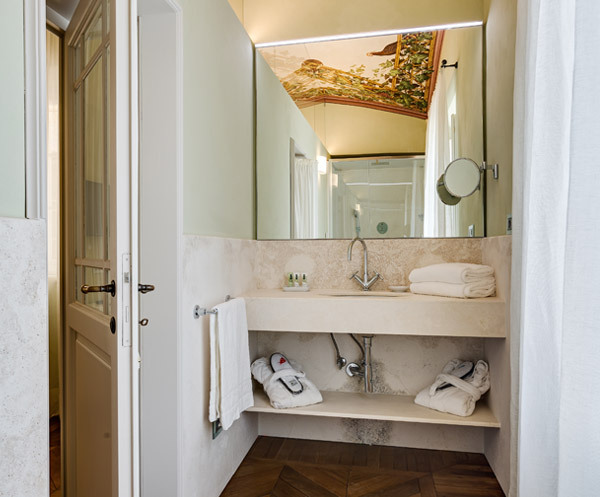 Both rooms are made even cosier and more comfortable by the parquet floor made of ancient oak slats. 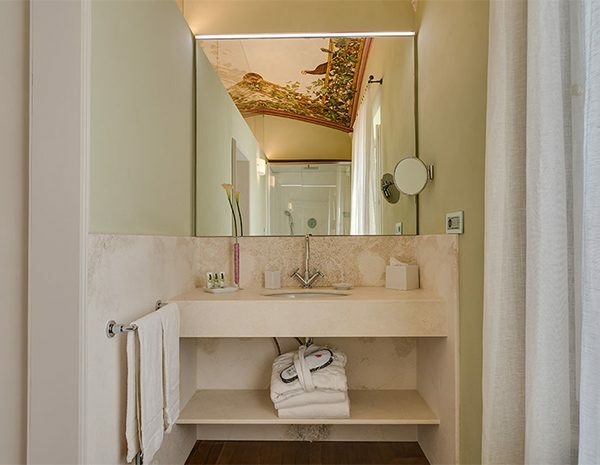 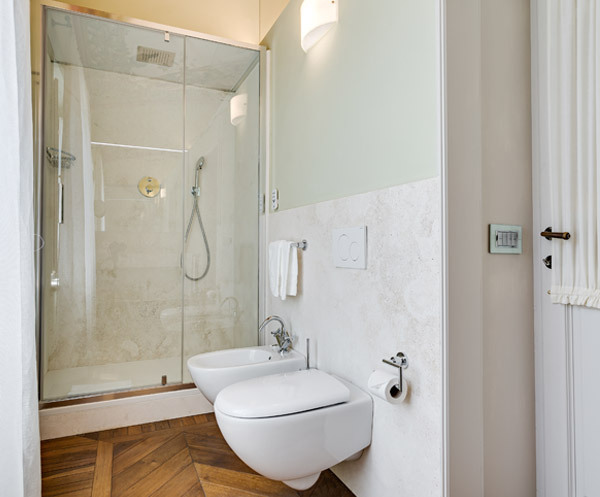 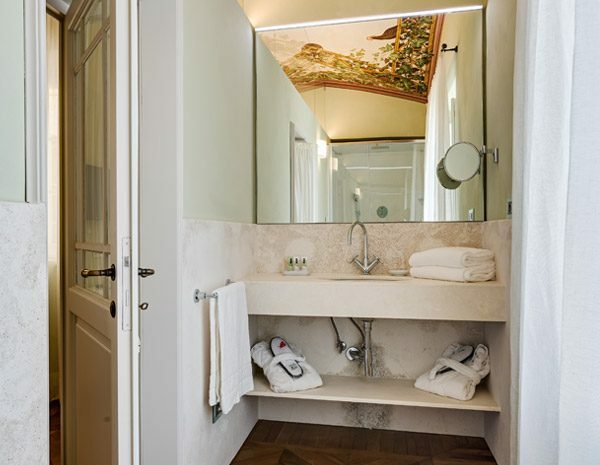 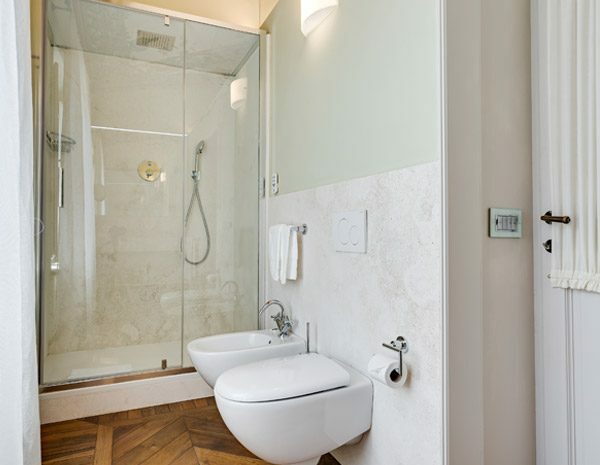 The pleasure of your stay continues in the bathroom, which overlooks Piazza Gramsci, featuring finishes made of Tuscan travertine and a large shower with chromotherapy to ensure complete relaxation.